Home to rolling moorlands in the south and rising peaks in the north, Staffordshire is a county rich in natural beauty. Tucked away in the west of the Midlands, the region is also home to a host of pretty provincial towns and villages that all have their own histories to relate. The perfect destination for a weekend escape, our selection of the best places to stay in Staffordshire capture the charm and character of the county. Lichfield Cathedral is one of Britain's most significant medieval cathedrals and remains a magnificent architectural site to this day. Lichfield itself is full of historical charm and well worth a day trip to visit the Samuel Johnson birthplace Museum as well the Erasmus Darwin House. Northern Staffordshire is home to the Peak District National Park and is a haven for hill walkers and hikers. Southern Staffordshire is dominated by beautiful rolling moorland and is perfect for walking. A good day trip in the region is to walk out to Mow Cap Castle. For family fun, it's hard to go wrong at Alton Towers. Historians will be fascinated by a trip to the National Memorial Arboretum near Lichfield, which is a beautiful 150 acre centre of remembrance, home to over 300 unique memorials. Staffordshire may not be the most famous of England's counties by is certainly not one to overlook, both for it's rural and urban landscape. Our picks of the best places to stay in Staffordshire are full of personality and individualistic charm. As soon as you approach Netherstowe House, you know that it's something special. A grade II listed building, the half-timbered red brick embodies Lichfield's rich history. 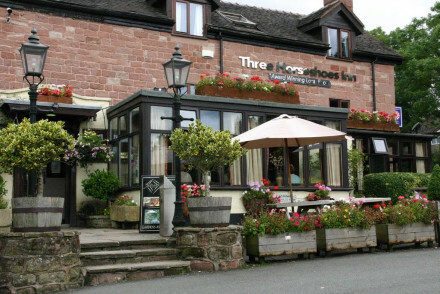 With lovely rooms and two excellent dining options, it's a great base from which to explore Staffordshire. For those flying to Staffordshire, the best option is Birmingham Airport, some thirty miles south of the Staffordshire border. The best way to explore the region is by car, so we recommend visiting our online car hire partner Rentalcars. The summer months are the best time to visit Staffordshire. 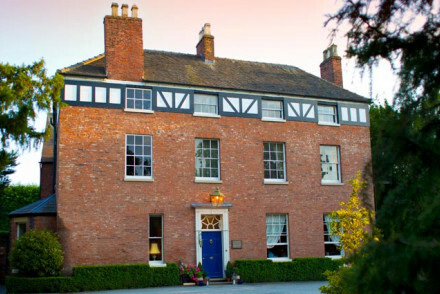 Browse through our list of the best places to stay in Staffordshire. Or for some personal travel advice, contact one of our friendly gurus. A charming rural inn ideally located for exploring the Peak District. Cosy rooms are traditional in style with soft hues, antique furniture and the best have heavy wooden four posters. The Bar & Grill serves British pub fare and boasts a lovely terrace with sweeping views. Country Escape - A charming country inn located on the edge of the Peak District National Park. Birdwatching - Tittesworth Water attracts a wide range of species. A tree-lined drive leads to Netherstowe House, a lovely Grade II listed half-timbered building, located in the historic city of Lichfield. Bedrooms are very inviting with comfortable beds and the bathrooms come with fluffy towels and luxury toiletries. Two restaurants for formal or relaxed dining. Fishing - Fish for roach, perch, carp, pike and tench at Stowe Pool. Sights nearby - Visit the three-spired cathedral in Lichfield. 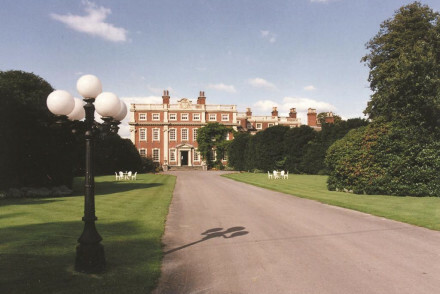 An imposing stately home set on a 100 acre estate. Individually styled rooms are traditionally dressed with antique furniture, high ceilings, patterned wallpaper and sash windows. An award winning restaurant, atmospheric bar and elegant lounges are relaxing. A truly spoiling rural stay. Total relaxation - Surrounded by 100 acres of parkland, you can be sure of absolute tranquility. Great walks - Find endless walking routes with the whole estate to explore as well as the surrounding Staffordshire countryside. Sights nearby - Visit the impressive 800 year old Lichfield Cathedral.